The National Association of Home Builders reported that 46% of its members have fallen behind schedule on finishing projects because they can't find enough workers. Sales of new homes are on a tear, but builders can't find enough workers to keep up with the demand. After the housing bust, many workers left the building trade in droves, said Michael Fink, CEO of Leewood Real Estate Group in Trenton, N.J.
"A lot of our workers are immigrants and they went back to their home countries," he said. "Our subcontractors can't get people; they can't start on time; they can't get things done on time." The National Association of Home Builders (NAHB) reported in March that 46% of its members say they have fallen behind schedule on finishing projects, 15% turned down jobs and 9% lost or canceled sales because they can't find enough workers. That could have some big ramifications for the broader housing market. 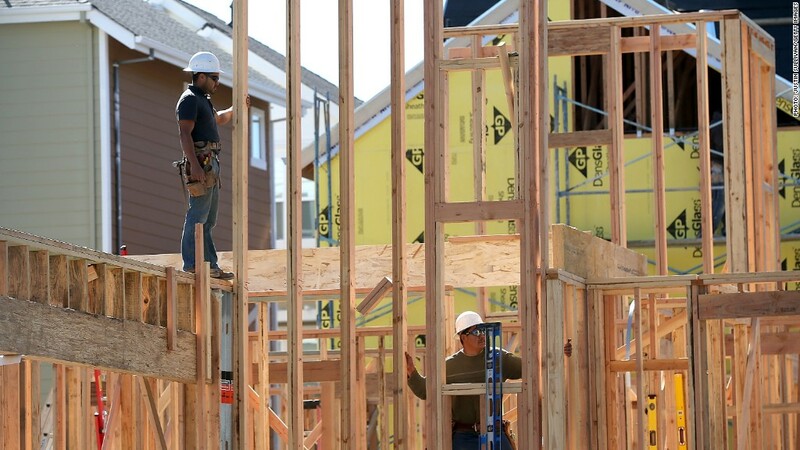 Housing starts fell sharply in April to 853,000 and experts project residential construction will grow by about 25% annually, according to the NAHB. At that pace, it could take more than four years to get back to early 2006 building levels, when housing starts peaked at 2.3 million, according to Census Bureau data. The lack of new inventory will add pressure to home prices, which have already climbed by double-digit percentages. During the first quarter, home prices rose an average 10.2% -- the biggest gain since 2006, according to the Case-Shiller national home price index. After the housing bust, construction fell off a cliff and many workers moved on to other occupations or they retired. With the supply of skilled workers short, subcontractors have had to raise wages. 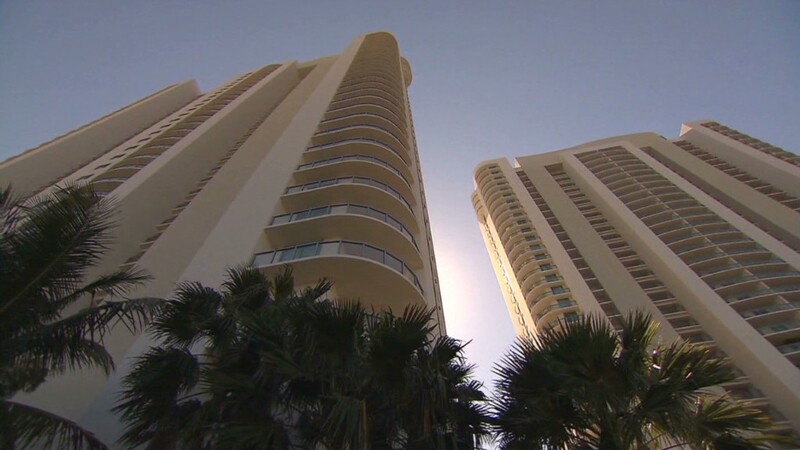 The competition for workers has gotten so heated that some construction companies are even poaching workers off each others' job sites, according to Jan Maly, president of JM Maly, a construction company in the Houston area that builds high-rise condos, schools, hospitals and other commercial buildings. Rival contractors may come right up to the job site to recruit, enticing workers with the promise of higher pay, he said. A concrete worker will quit working for one builder on a Monday, for example, and then show up the next day pouring foundation for another builder a few blocks away, he said. "There's a lot of employee pilferage going on," he said. "It got so bad at the Exxon headquarters construction site [in The Woodlands, Texas] they had to put in rules not to go after other construction workers." Maly said he finds workers by word of mouth, mostly through recommendations from other employees. "It costs so much money to hire somebody, maybe $3,500 just to get them on board -- without counting the cost of training them," he said. "Once they're on the job site, you have to guard them." Builders are trying to find a way to fix the problem. A lot of the skilled workers, like framers, aged out of the industry during the downturn. And since there was so little work for so many years, few young people entered the trade to replace them, said Tom Woods, a custom home builder in the Kansas City area. "We've had to share a framing crew with another contractor," said Woods. Some builders are turning to organizations like the Home Builders Institute, which is funded by the Department of Labor's Jobs Corps program to train displaced workers, at-risk youth, ex-offenders and military veterans in construction skills. HBI trains about 13,000 workers a year and places 80% of them in jobs, but that's still not enough. About 2 million workers left the industry in the past five years, according to John Courson, the organization's president. There are nearly 6 million workers in the construction trades and the Bureau of Labor Statistics projects that industry job growth will be faster than average between 2010 and 2020, at about 25% or more over the period.